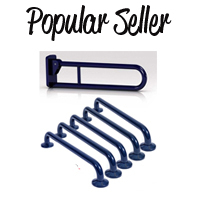 Grab Rail Kit For Close Coupled Doc M Pack In Blue - Gives you all the grab rails you need to comply with the latest regulations. 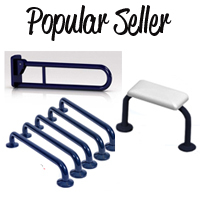 Grab Rail Kit For Low Level Doc M Pack In Blue - Gives you all the grab rails you need to comply with the latest regulations. 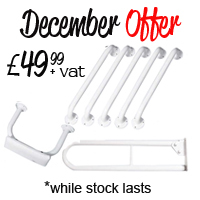 Grab Rail Kit For Close Coupled Doc M Pack In White - Gives you all the grab rails you need to comply with the latest regulations. 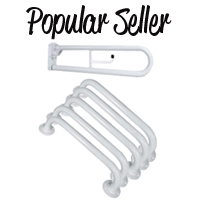 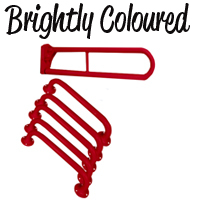 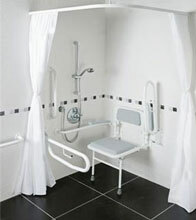 Grab Rail Pack - Introducing a new range of grab rails ideal for domestic and commercial facilities. 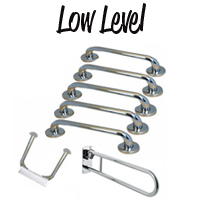 New handrails kit in chrome. 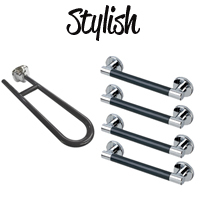 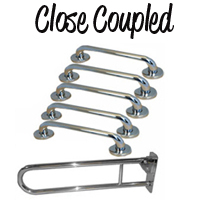 Grab Rail Kit For Close Coupled Doc M Pack In Polished Stainless Steel - Gives you all the grab rails you need to comply with the latest regulations. 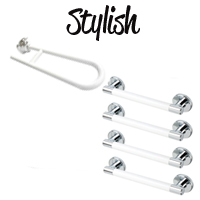 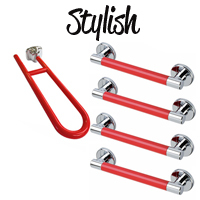 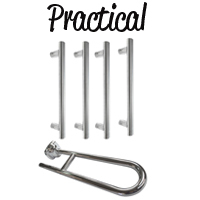 Grab Rail Kit For Low Level Doc M Pack In Polished Stainless Steel- Gives you all the grab rails you need to comply with the latest regulations. 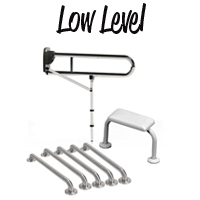 Low Level Doc M Rails Stainless Steel -Hinged Support Rail comes with leg. 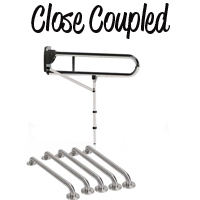 Close Coupled Doc M Rails Stainless Steel -Hinged Support Rail comes with leg. 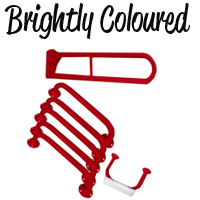 Here we have a range of grab rail kits for doc m packs in many different finishes. 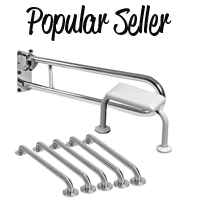 The doc m pack grab rail kit includes four 600mm grab rails and a small 450mm and hinged support grab rail in the sames finish. 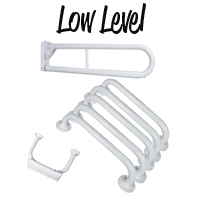 If is for a low level doc m pack then it will come with a backrest that sits in between the cistern and a pan, also in the same finish.